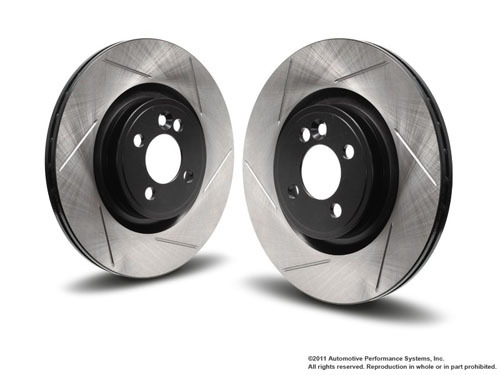 NM Engineering Slotted Brake Rotors for R55 R56 R57 R58 R59 MINI Cooper S with John Cooper Works Brembo front Brakes. If you have the JCW big brake kit you know the rotors are very expensive to replace. That's why NM came up with these high quality direct replacement rotors. These brake rotors have internal vanes, and directionally slotted. Sold as one front pair.